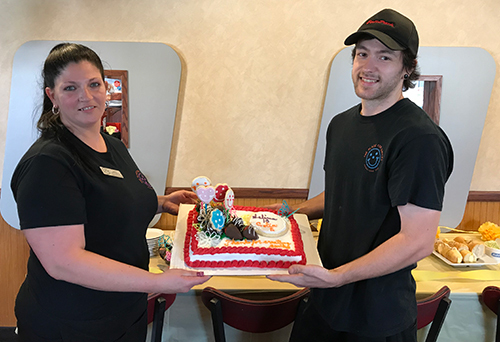 For many years, May has been a very special month at Eat’n Park – Team Member Appreciation Month. Our team at our Franklin Park Eat’n Park really knows how to throw a party! 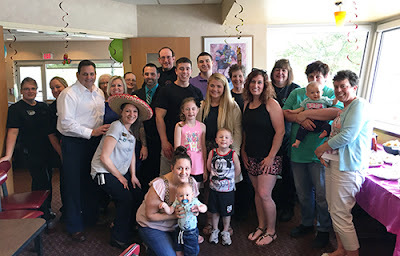 The celebration at our Johnstown Scalp Ave. location included many delicious sweets and treats! In addition to these celebrations, every person who works in our Corporate Support Center (CSC) takes a day to work at one of our restaurants. They help out wherever needed - be it seating guests, chopping up vegetables, or even making Strawberry Pies. 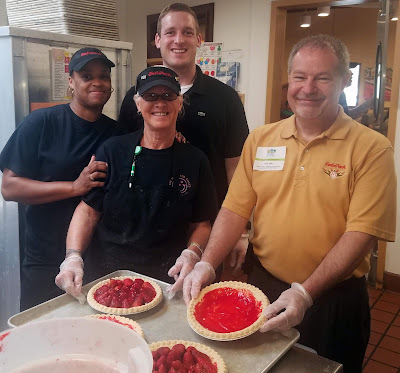 Team Members at our Peters Township location helped to show a few folks from our Corporate Support Center how to make our classic Strawberry Pie! During this special month, we also take the opportunity to thank almost 1,000 volunteers who donated more than 37,000 hours of their time to help make our neighborhoods a special place to live. Each volunteer received a special pin to recognize their hard work in their community. Even though May has been selected as our special month to showcase our team members, we strive to thank them all year long, and you should too. Next time you see someone do a great job, let them know! Passing along a compliment and a smile will always be appreciated any time of the year! Free Kids' Meal With Adult Entrée Purchase! Free Smiley Cookie For Dads This Father's Day! Meet Our 2018 Team Smiley!